In 2016, OuterBox reported that more than 62 percent of shoppers made purchases using their cell phones, and the 2016 stats show that over 90 percent of shoppers use their smartphones even while in retail stores for comparing prices and looking at product reviews. Further, 40 percent of consumers will go to a competitor if they have a bad experience with a mobile website. "If you plan on running a successful eCommerce website, or any website, you absolutely must cater to mobile users," wrote Justin Smith, CEO of OuterBox, in his company blog. You need to have a domain name that describes your business or is your company name. You can even have multiple domains that point to the website. 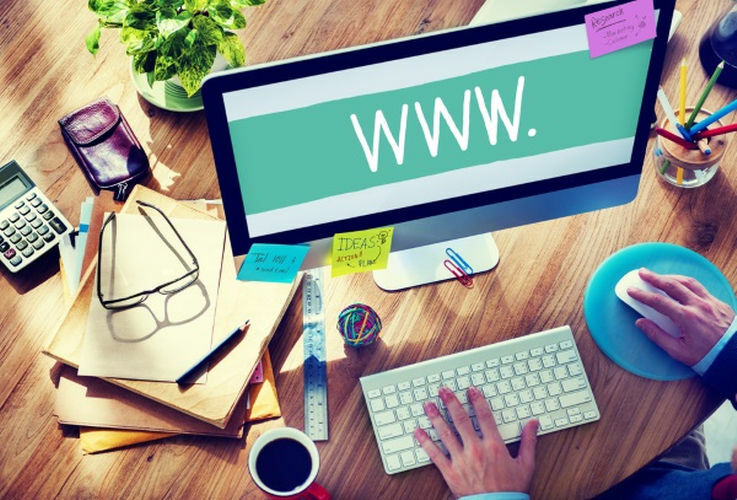 To learn more about what makes an effective domain name, read our article on choosing the best domain names. If your business depends on people being able to contact you or call your sales team, put that information where they can find it easily. "Your contact information should be visible, preferably at the top of the home page, so that visitors don't have to search for a phone number or address if they want to contact the business," said David Brown, CEO of Web.com. If you use social media to connect with customers, then be sure to put links at the header or footer, where they are easily found. Dan Veltri, co-founder and chief product officer of Weebly, advised limiting your top-level navigation menu to five clearly labeled tabs with related pages organized under them. You should also have a clear way to get back to the home page no matter where your readers land. Very often, a search can take your reader to a page other than the home page. Paul Bolls, an associate professor of strategic communication at the Missouri School of Journalism, said that readers need to be able to put information in context. If a site has too much information, it overloads the mind, making it unable to retain the new information. Be sure you use a balance of text and graphics that present a clean page. One way to keep it simple is to cut the social widgets, such as a Twitter feed on your site. Ask yourself if you are adding information your reader cares about, advised Michael LaVista, CEO of Caxy Interactive. If your widget content does not support the purpose of the page, remove it. It should go without saying that inaccurate information will turn off consumers, whether it's a wrong number, outdated product information or simple grammatical errors. Not only should you proofread each page before it goes live, but you should periodically check each page, especially after making updates anywhere else. A study by SOASTA, a website creation company, found that 88 percent of Americans surveyed said they have a negative association with brands that have buggy websites and apps, and 83 percent said slow websites cause them to have a negative reaction to a brand or company. Further, 28 percent of respondents said they will go to a competitor's website if the first website they visit takes too long to load. Make sure your website runs smoothly by keeping the software updated, optimizing videos and images for quicker downloads, and using a website host that can handle your bandwidth demands. 8. Have a call to action. Each page on your website should entice the reader to do something – call, sign up for a service, buy a product, download a white paper. Be sure to have a clear invitation to do just that: a button, a link or clear verbiage. Keep it above the fold if possible so that readers do not have to scroll before finding the call to action. Limit the use of fonts, colors and animated gifs, which can distract and pull the eyes away from the focus of the webpage. Short paragraphs and bullet points also make the information more scannable and likely to be read. Ian Lurie, CEO of the marketing company Portent Inc., suggested paragraphs should be shorter than six lines. Just as brick-and-mortar businesses invest heavily in their storefronts to represent their brand images, e-commerce retailers need to create a similar high-quality online experience in keeping with the brand perception, Tom Lounibos, CEO of SOASTA, told Business News Daily. To that end, your About page should not be a dry block of text about your company. Emily Brackett, president of design and branding firm Visible Logic, recommends including a good photo of yourself or your team. "A lot of customers want to know that there's a real person who's going to be working with them," she told Small Business Trends. "If companies want to remain competitive in the modern landscape, they need their web and mobile websites to engage the user and work as expected," Lounibos added. "Those that are creating a seamless and enjoyable online user experience are reaping the benefits."